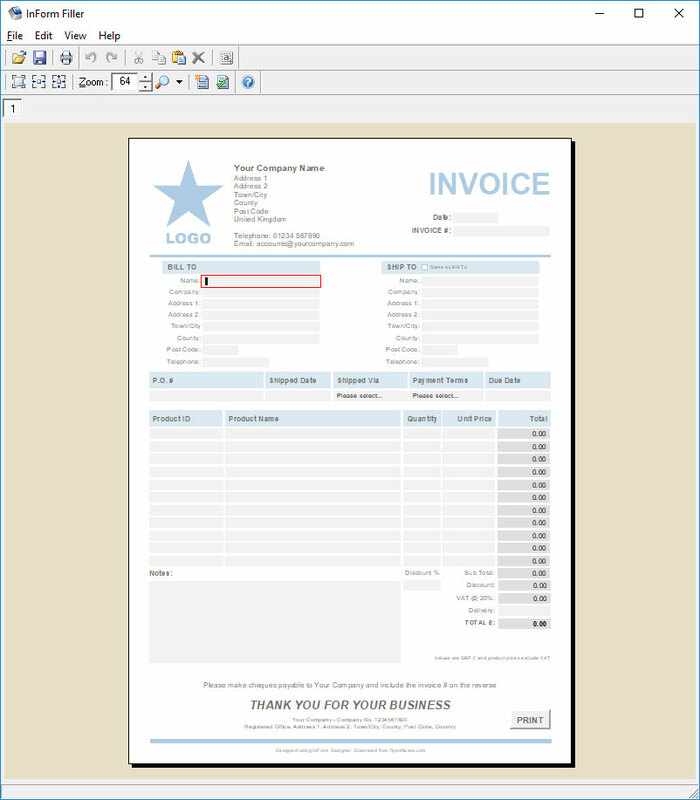 InForm Designer is an intuitive Windows® application that enables you to design professional e-forms, paper forms and web forms in minutes. No longer do you need to purchase and learn multiple form design applications to create each type of form. Instead, simply design a form using InForm Designer and it is ready for printing, filling in electronically (using our FREE InForm Filler software) or publishing on a website. There has never been a more cost-effective way to design forms! Simultaneously design e-forms, paper forms and web forms that all maintain the same style and functionality. Keep costs to a minimum by purchasing just the design tools (InForm plug-ins) you need. Prices start from just $5. 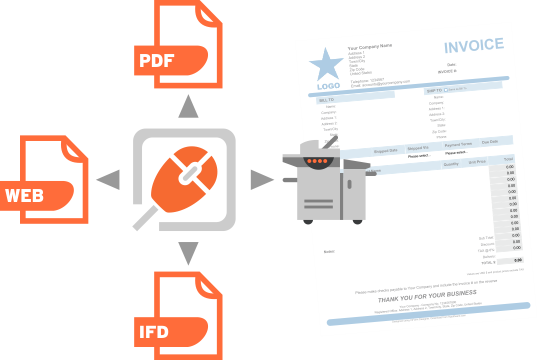 Configure form elements so only the filled in content is printed, and use the printer offset functionality to ensure everything is aligned perfectly. Web forms can be created without any coding skills or knowledge meaning anyone can design them with ease. The property inspector gives you access to a huge range of configuration options so your forms look and operate to your exact requirements. Apply a wealth of validation to your forms so only the data you expect can be specifed by form fillers. 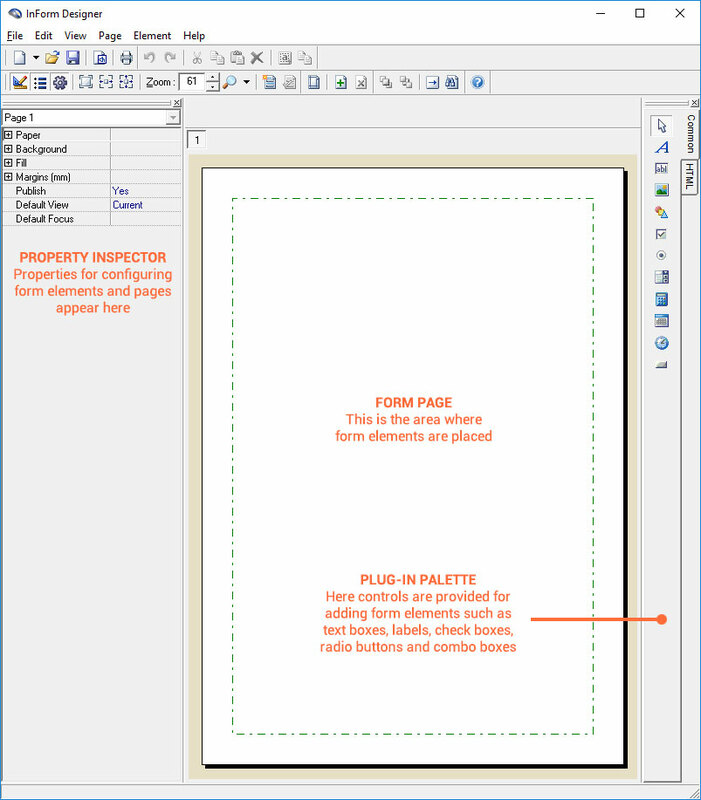 If you use the functionality of an InForm Plug-in within InForm Designer, your form will contain a copyright watermark until all the InForm Plug-ins you have used are activated.